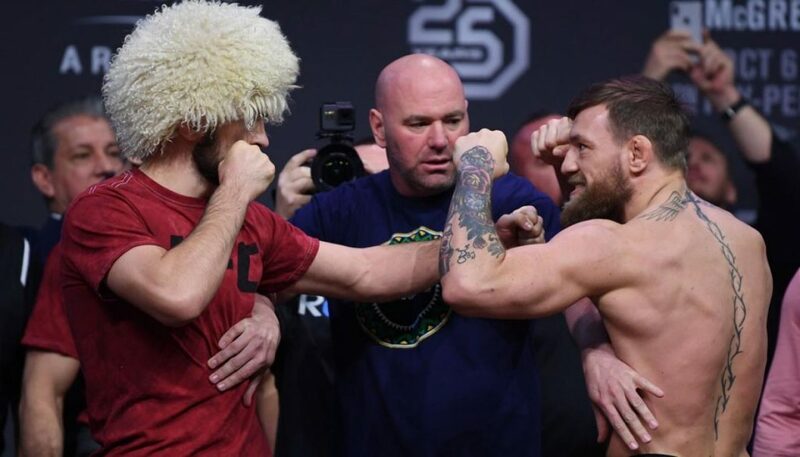 A brawl breaks out after Khabib Nurmagomedov submits Conor McGregor in the 4th Round. (VIDEOS) - T.V.S.T. Welp! It happened. Khabib Nurmagomedov defeated Conor McGregor in the fourth round with a rear-naked choke. Conor tapped out and sat there looking stunned….and then all hell broke loose. Nurmagomedov jumps out of the octagon and goes after someone in the crowd from McGregor’s camp who was talking smack. Then someone from Nurmagomedov’s camp jumps into the ring and goes after Conor. It was crazy. Below is video captured at the event….. The UFC decided to actually hold Nurmagomedov’s check. McGregor was able to get his. “Khabib diving over [the cage] was ridiculous,” he said. 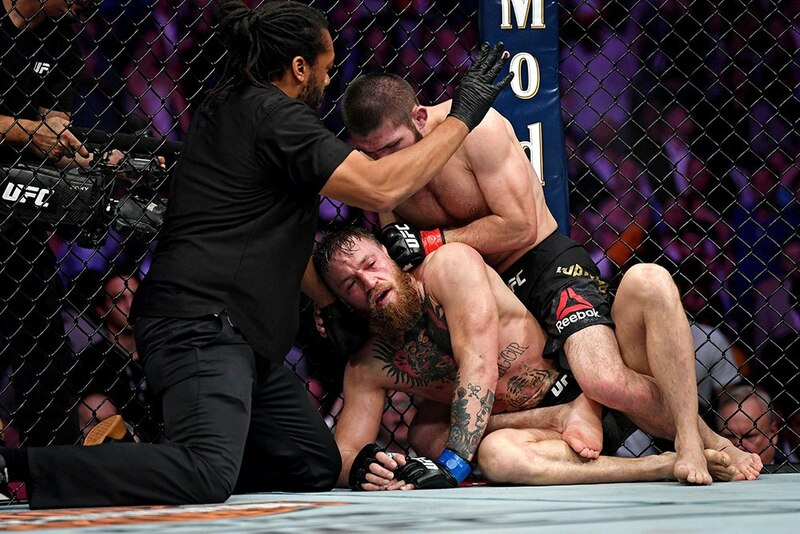 “You know, you just won a great fight, you fought brilliantly, you’re about to get the belt on and people are going to respect the fact that you fought well and you won the fight, and instead you dive over the cage and start this huge melee with Conor’s corner. I wonder just how bad Nurmagomedov’s suspension will be. There is zero chance that Dana will ban him from the UFC. Dana is already counting the money from the PPV on the rematch. Yes….Dana could have paid everybody to do all of this. I don’t put anything past him. He’s a business…..man. Iggy Azalea Forced To Cancel Her Second Tour In The Past Three Years, What Is Going On?